It was the first time in a long time that we had sat down together. I was a little hesitant to even go to dinner with her because I had been feeling so disconnected, even a little bit resentful toward her for things I perceived were keeping her and me from hanging out more. I loved her deep down but I felt there was a wedge growing between us. She had not done anything to make me feel this way. It was just a thought that I allowed to grow more and more. Even though I have been taught to not let ugly thoughts stay in my mind, that I have control over whether I dwell on them or let them pass, this one I allowed myself and it began the downward spiral toward negativity. I’d tell myself it was “all good,” but then the slightest thing would get in my head and turn my belief upside down. All the while, she knew nothing about the distance I was feeling. Dinner was amazing, we laughed and laughed, cried and reconnected. It was a great time and catching up was so good. I listened to her talk about her family and her life, realizing that she was swamped with work and all that family life entails. This was her reason for not spending as much time with me as she desired. There were legitimate reasons for the disparagement of our quality time. She was missing my friendship as much as I was missing hers. As I drove home after dinner I was dwelling on the great fellowship and reconnection when, out of the blue, the phrase “Time heals all wounds” hit me. 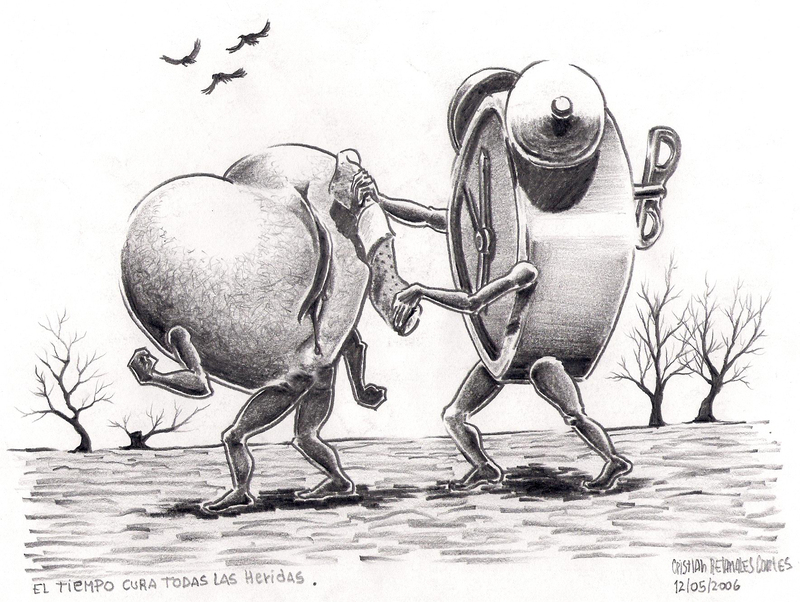 It was true – “TIME heals all wounds”. In this circumstance, it was not in the way I’ve always thought concerning this phrase. I realized that “TIME” didn’t mean a span of seconds, minutes, hours or days following a series of heart-wrenching events. Rather, “TIME” referred to the moments we shared. Time spent hanging together, time laughing, time crying, time invested in one another, and time reconnecting to each other’s worlds. That was what healed our relationship. It truly was “Time heals all wounds.” When I left that time of fellowship, I had no more wounds. I only had the rekindled love for my friend. I couldn’t wait until the next time we could get together. Time is precious and valuable. How are you spending it? Are your kids spoiled with stuff and yet not happy? This is usually because a person doesn’t spend quality time with them. People say, “If I just had time,” but that’s an excuse that just doesn’t measure up to scrutiny. Life passes by so fast. Don’t let thoughts, words or actions breakdown your relationships. Don’t let that estranged family member or friend pass from this life without making things right. Just meet. Just talk. Just do something kind for that person, even if you don’t know what to say. I have found that time will not just present itself to you. You have to seize it. You have to make the time. Spend it with those most valuable in your life. Make the move to measure your moments wisely. It’s said that you never know the value of a dollar until you have worked for it. Work to spend time in the right way. The harder you work to spend time the most wisely, the better the reward. I think you will find that TIME really does heal all wounds. Melissa Herrin is co-pastor of The Fellowship in Texas City, TX and wife of Pastor Kevin Herrin.